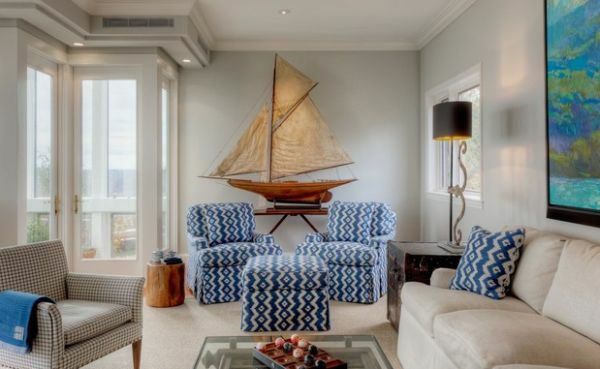 Modern Nautical is arguably one of the most popular styles when it comes to current interior design themes. 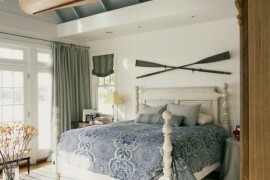 It is easy to work with, falls within the scope of contemporary neutral shades and seems to be relevant all year long. 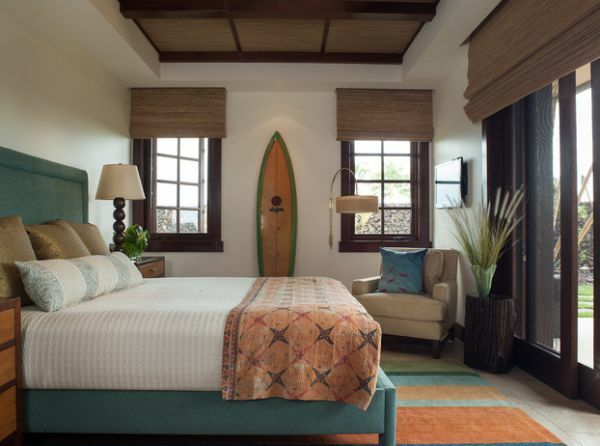 Moreover, bringing in a hint of freshness that draws from the wind, waves and surf is a never a bad idea. 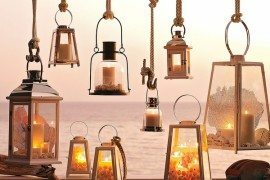 If you cannot get to the beach, why not invite home that cool vibe? 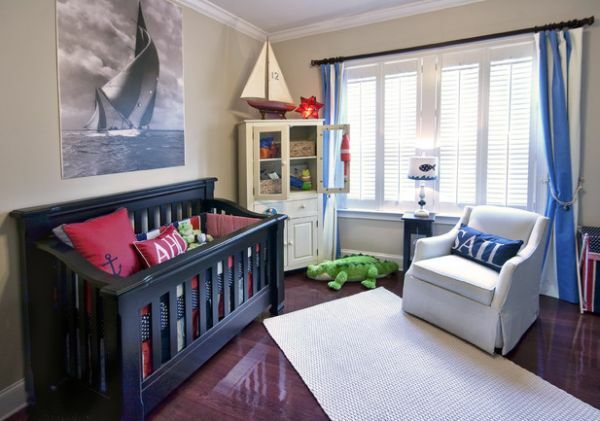 Kids’ bedrooms and playrooms are obviously the easiest places to incorporate nautical style. 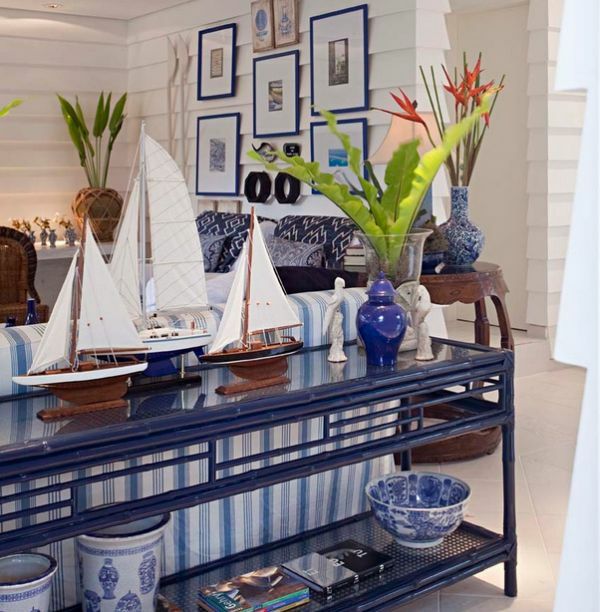 Yet adult spaces can imbibe some inspired nautical décor with ease. 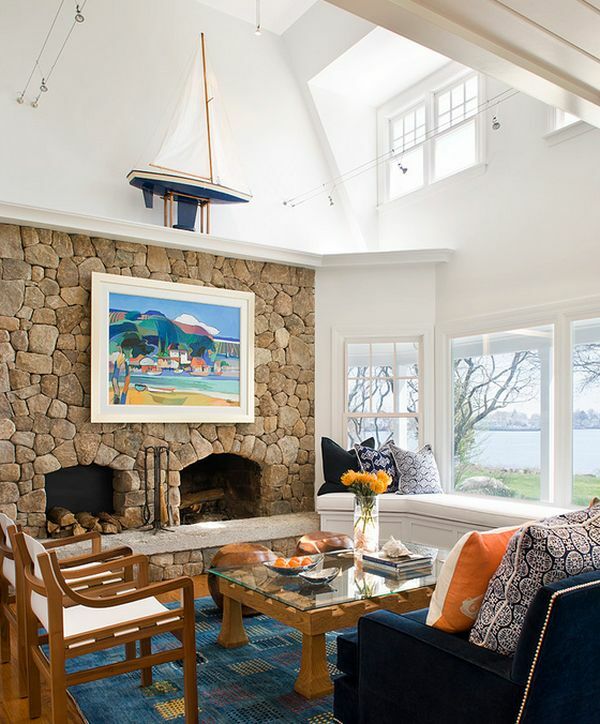 Seems like a picture-perfect spot for a sailboat model! 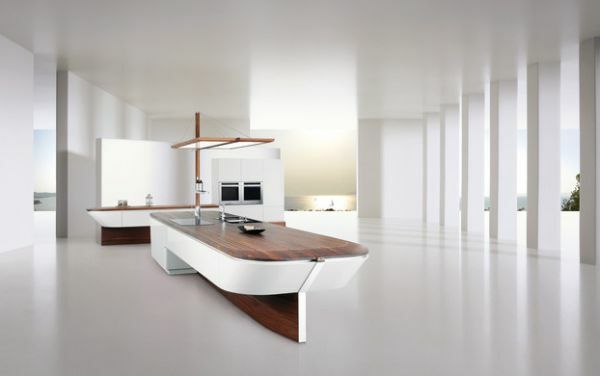 Stunning minimalist kitchen counter for the die-hard sailors! 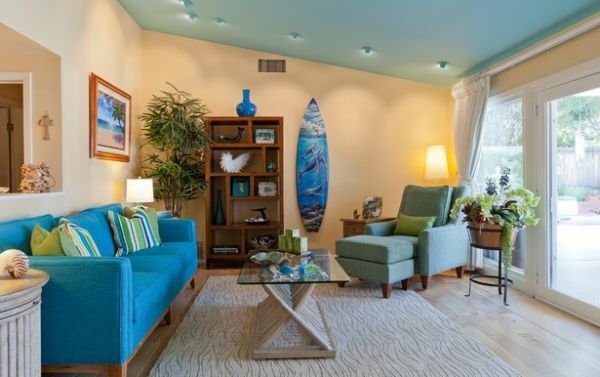 Living room sports colors of the ocean! 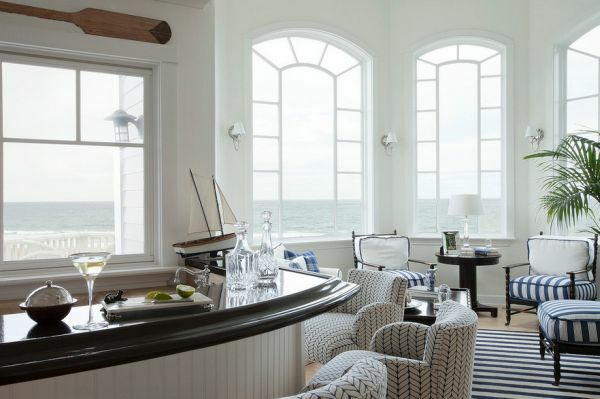 Designing a room with nautical touches is all about balance and color. 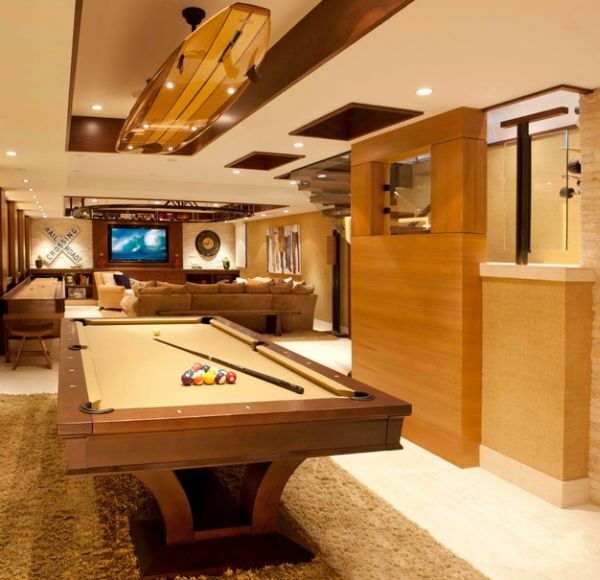 White is generally the easiest one to work with and often forms the backdrop for any such theme. Various shades of blue and a touch of red here and there complete the theme. 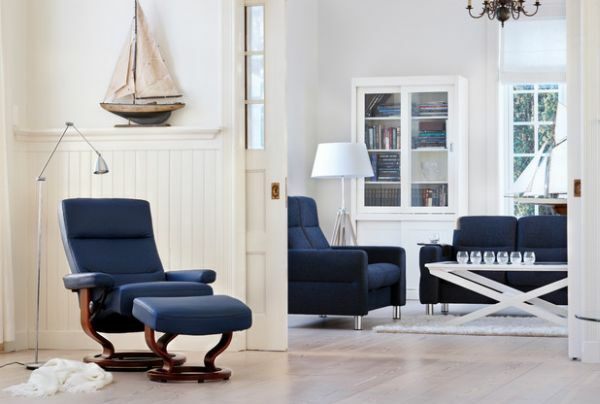 Vary the use of the colors and you can even achieve classic Americana. 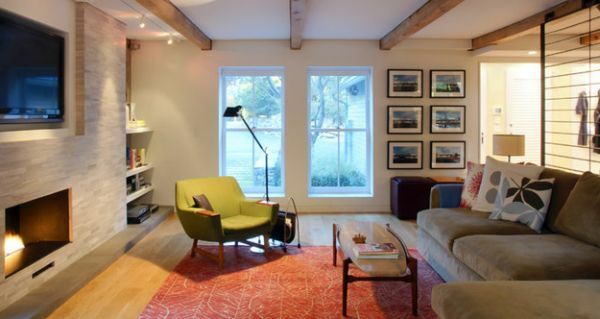 With modern homes going for a clean and well defined look, it is best to keep things simple and uncluttered. 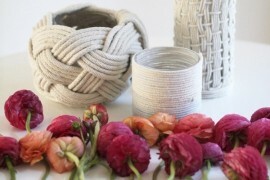 Using a few special accessories and décor items helps streamline things. Colorful painting that is all about the surf! Sailboat models and replicas are not too hard to find. The ardent enthusiast can even try his hand at making one. Placing the sailboat model right is all about understanding the dimensions of the room and the size of the model. 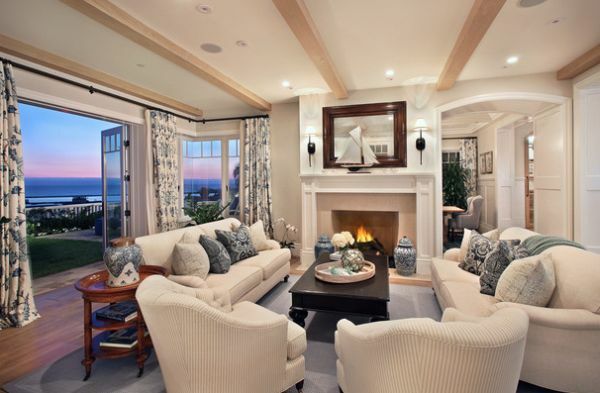 Often, shelves next to the window or the space above the fireplace seem the most appropriate. 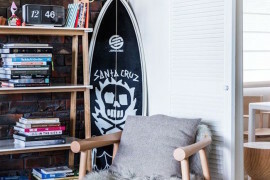 At first glance, the idea of using a surfboard as a decorative might be hard to fathom. 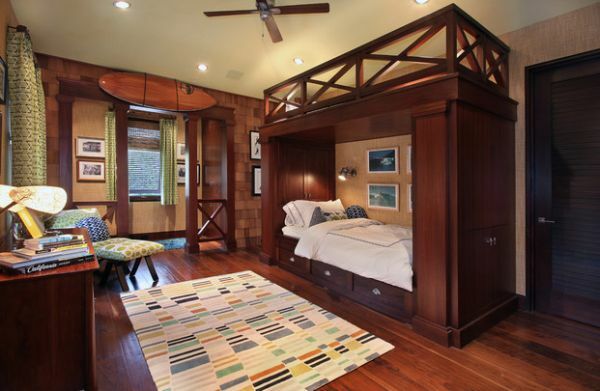 But some of the beautiful interiors on show here tell you otherwise. 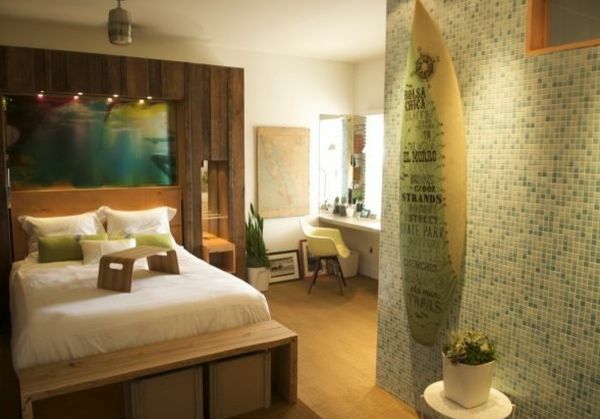 In fact, the surfboard is a better fit in contemporary homes than the sailboat. 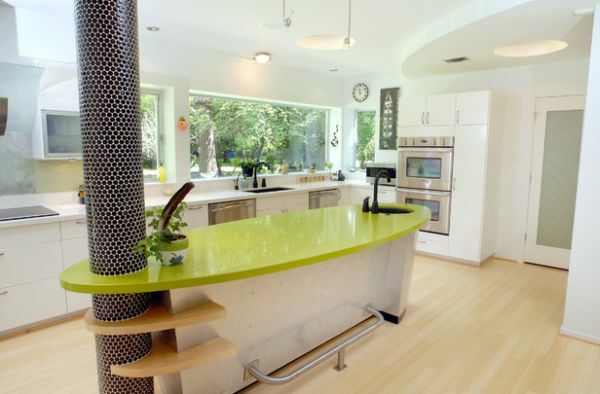 It is sleek, elegant, sports sensuous curves and carries with it an innate sense of balance. The shape of the surfboard also offers wonderful contrast geometrically to the well defined straight lines that largely surround us. 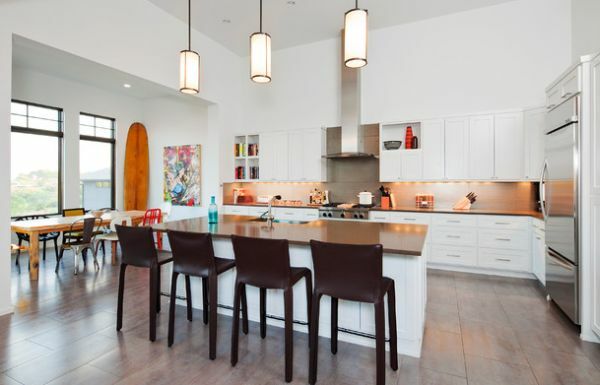 Paint the surfboard, wall mount it or use it as an inspiration to design your kitchen countertop! 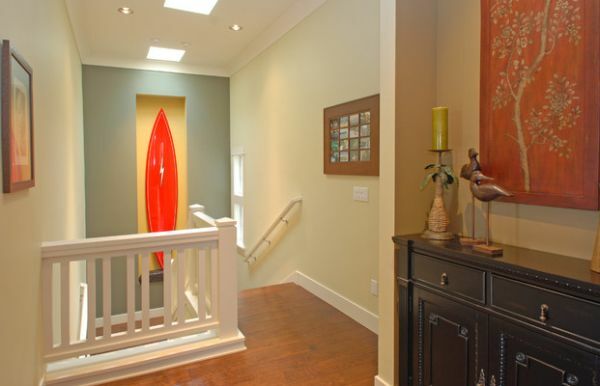 You will be surprised with the sophistication that the surfboard brings. The ocean is soothing, peaceful and majestic. Standing on a surfboard and riding a wave allows you to take all that in and achieve a unique Zen experience. It is precisely this magic that a surfboard carries along with it. It is inherently uncomplicated, elegant and natural in its form. 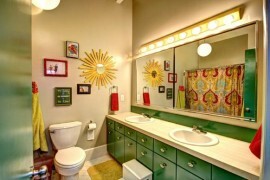 Adding it to any space immediately transfers these virtues to the setting! 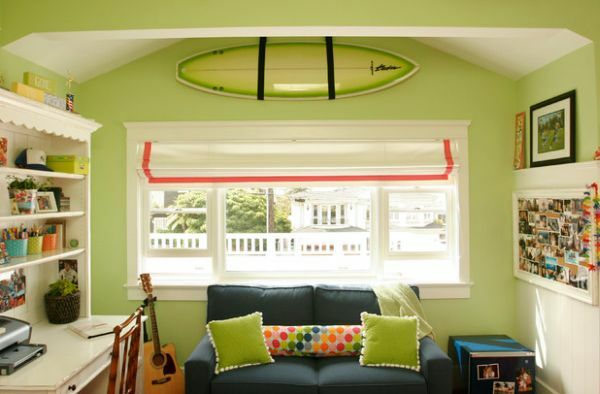 Using a sailboat replica or a surfboard is a much better idea to just put in photographs or posters. 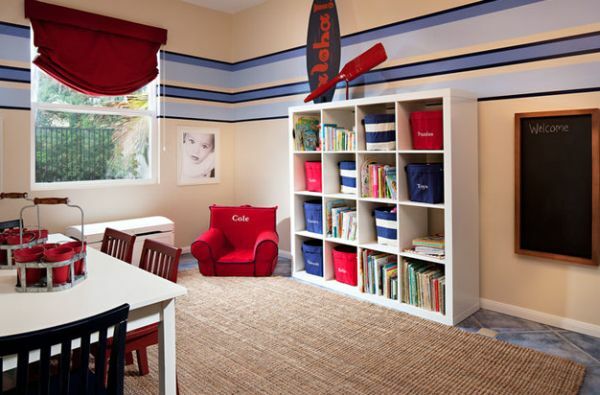 Three dimensional wall art really breathes life into a room and pops out instantly. 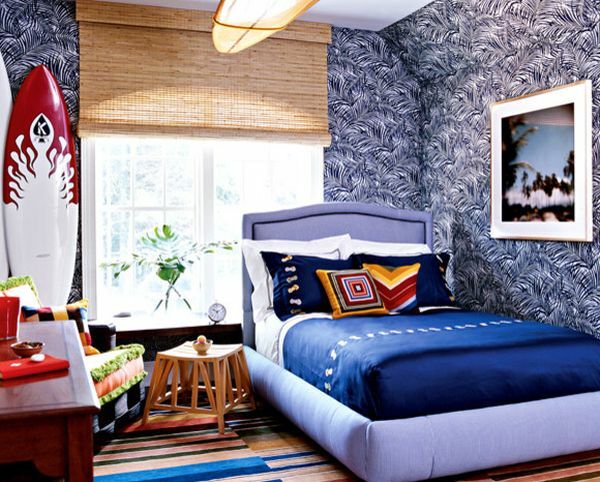 But, make sure that the color scheme you pick for the room offers a flowing backdrop the accessories. 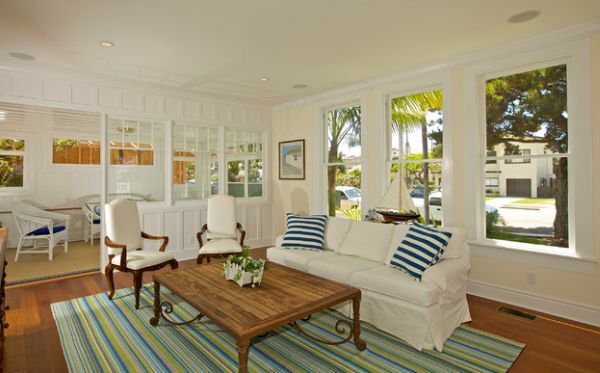 To create a breezy coastal style, do not use more than two color shades for the room. 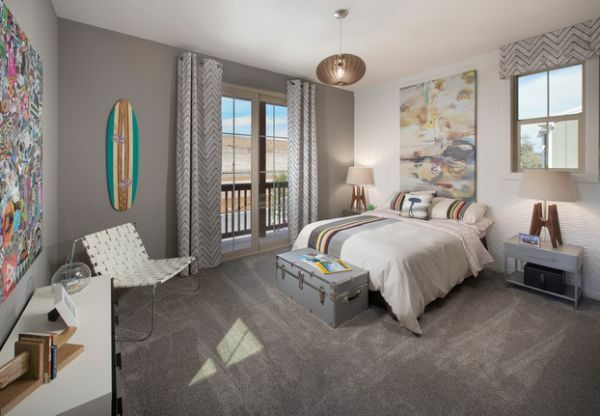 This approach not only makes the room visually more appealing, but it also helps make the interiors far more airy and spacious. 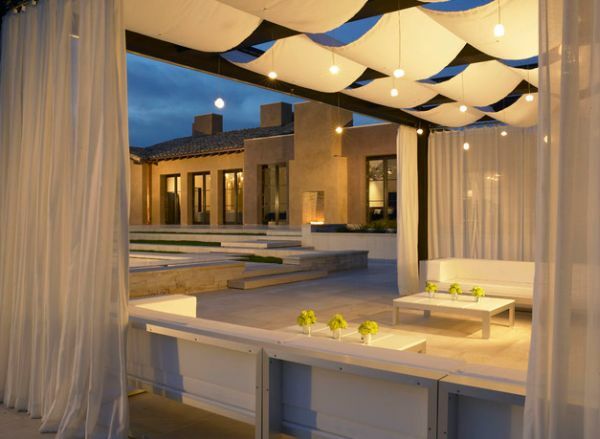 Reclaimed sails in the patio can create an Arabian Nights styled imagery! 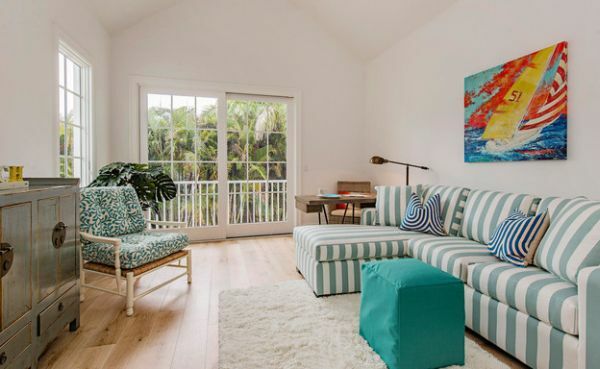 Just because you live in a landlocked area does not mean you cannot bring in the coastal touch. 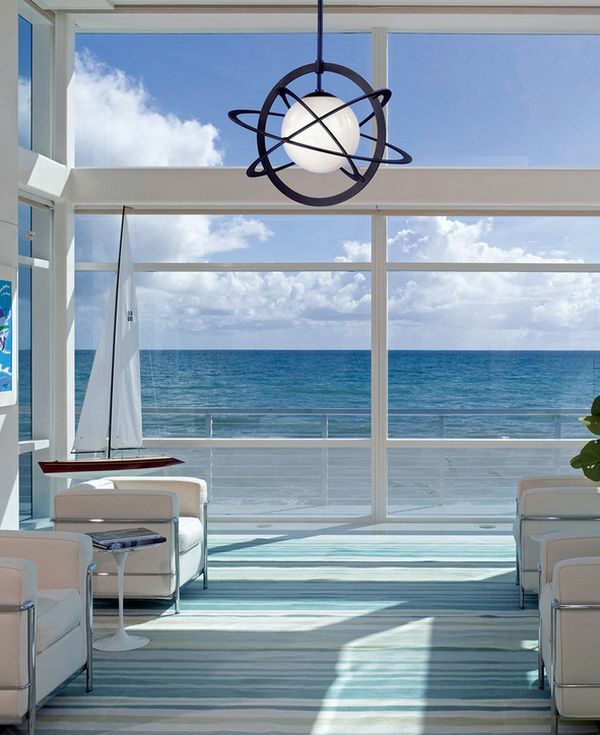 Of course, those amazing sea views outside the window might be hard to replicate. 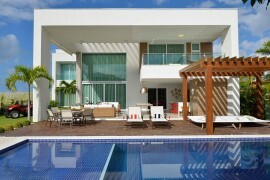 But the aura inside your residence can sure paint a whole different picture. 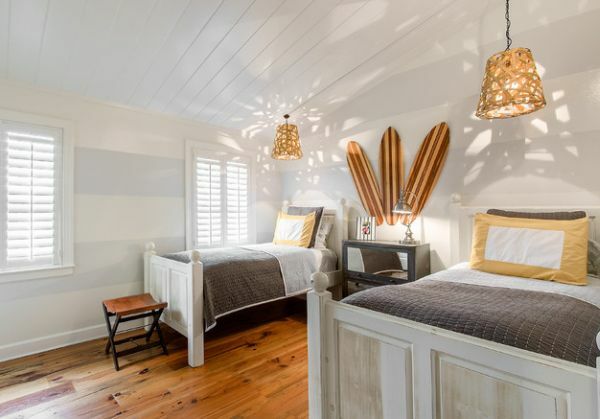 Appealing, exceptional and inspired, surfboards and sailboats give the nautical theme a perfect exclamation point. 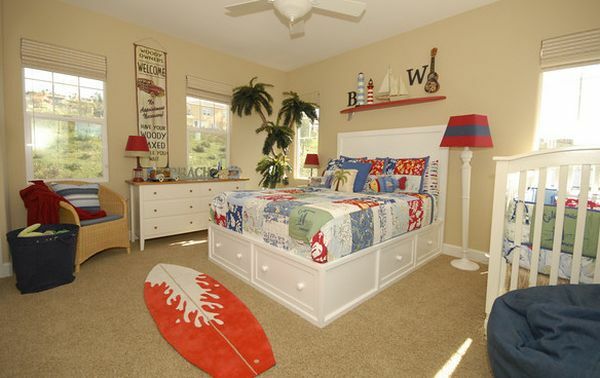 Boys’ bedroom with surfboard rug!